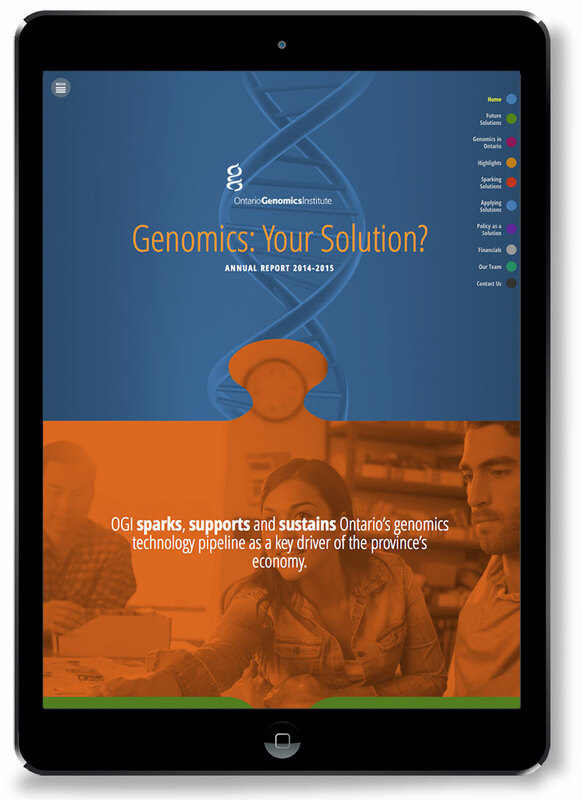 As part of a full web site redesign for Ontario Genomics we designed and built a dedicated online annual report section. This section has a non-obtrusive navigation menu that sits discreetly in the top corner and, once clicked, opens to reveal a directory of all archived reports. 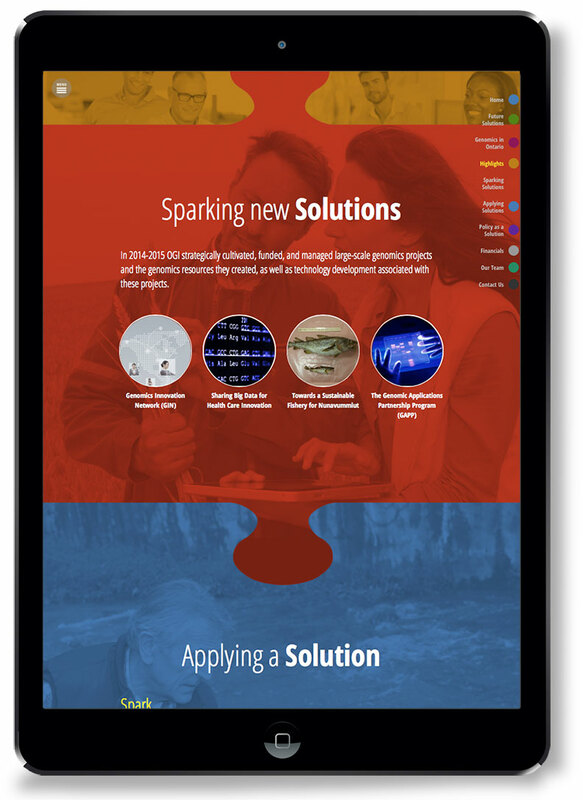 This was achieved by building a separate sub site dedicated for their reports with a simplified, unique look and navigation specific to their annual reports. 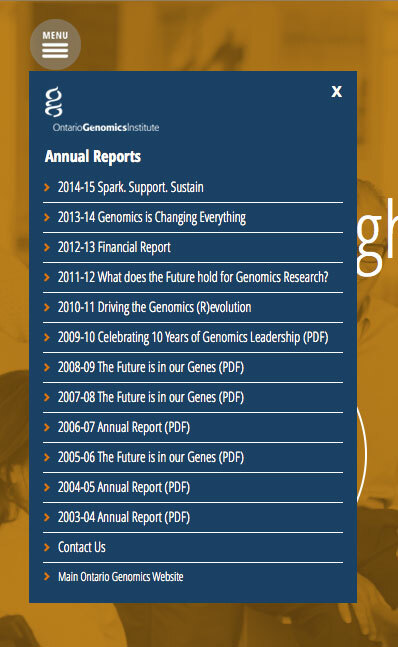 This sub site is a theme/shell that allows each online annual report design to have a unique layout and design based on the content and using the general site styles for consistency. The site houses the new report as well as future reports and archives of past reports. By creating a main web site and a sub site for the online annual report at the same time we can were able to setup WordPress multisite and share hosting and setup. Ongoing updates will only need to be done once instead of on multiple sites. There are cost savings to setup a multisite instead of two separate sites and providing combined training sessions and shared hosting but at the same time each has a design and method to present content. 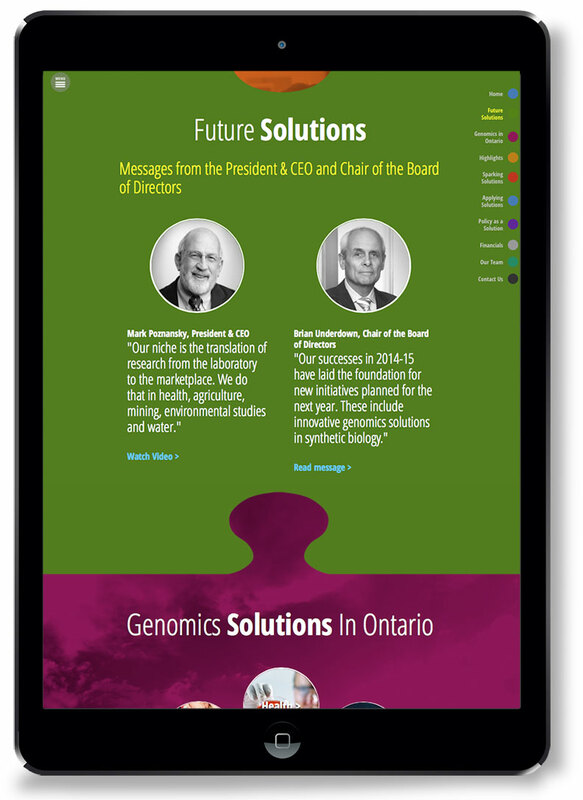 For the current online annual report we wanted to present the information in an interactive and engaging way. They filmed videos to allow an authentic voice to communicate their messages and tell their stories. 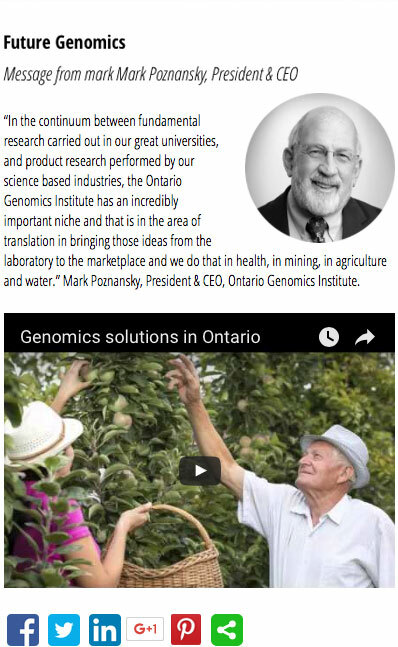 We built a parallax website and all content sections are linked together in a single page with links to expand specific content or display videos. As the user scrolls through the content they are presented statistics as live numbers that count up or or content that slides in over a floating background giving the site a sense of life and excitement. Embedded videos tell first hand stories and share the years highlights. The navigation doesn’t get in the way of content or design – it is tucked away in the corner but always available when you want it.